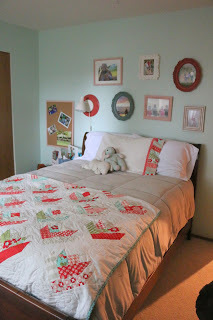 Just when we had my daughter’s bedroom all organized, the bedroom furniture in place, and the new quilt made, we were given Great Grandma’s bedroom set. It’s good problem because the bedroom set is beautiful and my daughter loves having a bigger bed. Today we moved the picture wall to the opposite side of the room. Last week I bought a new comforter for the bed. I didn’t even let me daughter go shopping with me. 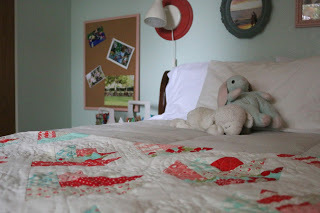 I knew it had to match her quilt and look good with her bedding because I wasn’t even going to consider repainting. The gray in the comforter is the same gray that is in the quilt. It’s the softest comforter you could ever imagine, so she wasn’t too sad that I didn’t let her pick her own bedding. 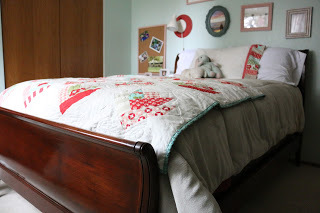 While decorating her room, it’s hard for me to keep in mind that she’s still eleven years old. 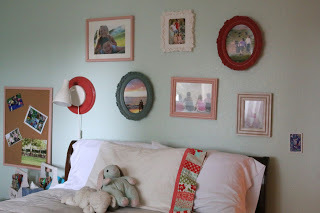 Even though the picture frames and bulletin board don’t really look the best with a beautiful bedroom set like this one, they still get to stay. 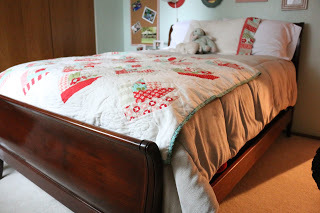 Will you just look at this beautiful sleigh bed? 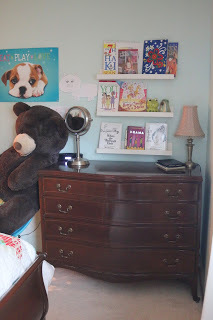 The bookshelves above this dresser will need to move eventually, to make room for the mirror that goes along with the set. Plus, she can’t actually reach the books. The poster of the puppy dog, thumb-tacked to the wall, gets to stay too… against my better judgement. Here’s the second dresser in the set. It’s so pretty. 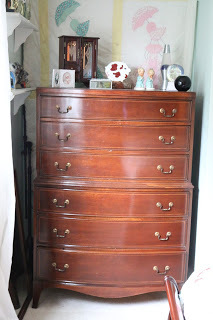 All of the special treasures on top of the dresser got to stay too. Everyone needs a magic 8 ball, a lava lamp, and a piggy bank colored with Sharpie markers. 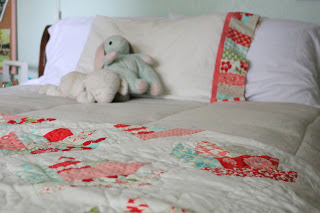 The quilt doesn’t actually fit on the bed anymore, but it makes a nice throw. Oh, and I’d like you to meet Paul. 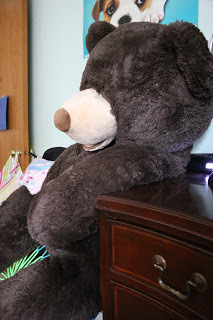 He is the largest stuffed animal I’ve ever seen in my life and he lives at my house. Paul gets to stay too.